If you don’t love a good hearty bowl of soup in the winter… then I am at a loss for words. Soup is hands down my favourite meal when it’s cold outside, and this one is no exception — especially when you come home from a long day at work and the soup is sitting there, a smile on its face, its odour wafting through your home to welcome you back. But you can make this soup with or without a slow cooker! Hearty and chock-full of healthy veggies, I’ll be damned if you don’t go for seconds. Every time my parents visit me, we go to an incredible fine foods store and they buy me a couple of totally overpriced but delicious items to test out. It’s awesome. Last time they came down, I bought a can of tikka masala sauce to make a quick curry with. 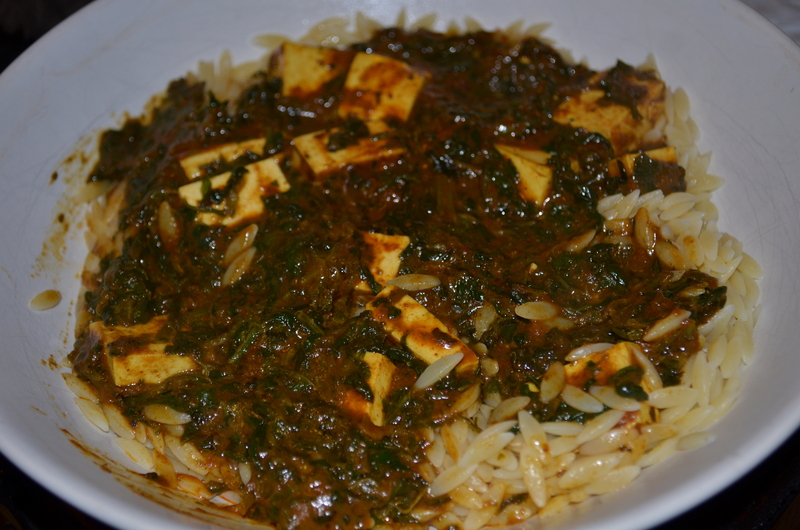 So, a few days ago, when I was craving a very flavourful meal but didn’t have much time to spend in the kitchen, I grabbed the sauce, some extra firm tofu, spinach, and orzo, and had a fantastic dinner ready in no time! Okay... so it's a bit brown. But it is SO delicious, I promise! I know I posted about my resolutions for 2012 a little while ago, but I have a secret other resolution that I have been sticking to rather well thus far: to eat breakfast. There are SO many studies out there that have proven time and time again that breakfast is the most important meal of the day, but I’ve never really been a fan of breakfast early in the morning. In fact, I get nauseous if I eat too quickly after getting up in the morning. It’s like my body is rejecting food while it gets out of its slumbering state. Who doesn’t love coffee and dark chocolate?! 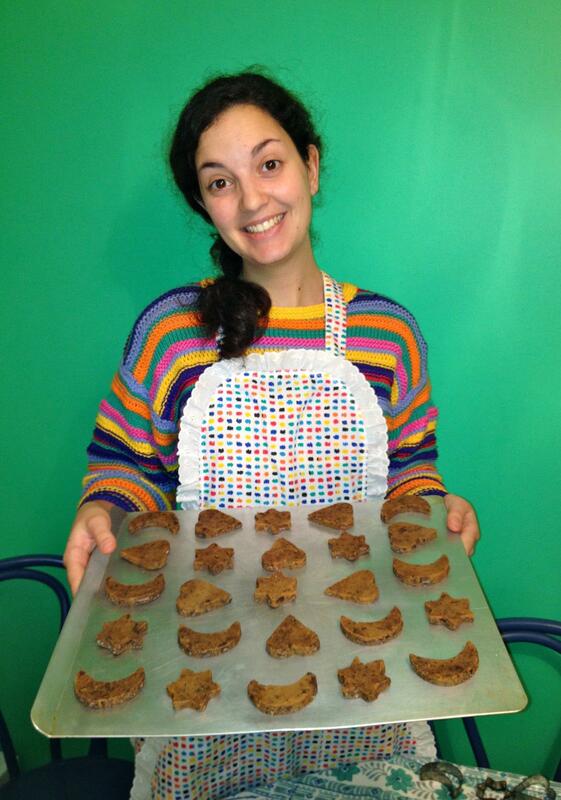 This recipe is adapted from the sensational espresso and dark chocolate shortbread cookies recipe from smitten kitchen. I know lots of food bloggers have tried this recipe and I don’t blame anyone for raving about it because it is simply outstanding! The rolling method is also ingenious. The only noticeable difference between my version and smitten kitchen’s is that I did not have powdered espresso, so we used instant coffee instead. The results were still fabulous. My friend Mackenzie and I put these together over the Christmas holidays and he snapped a picture of the shortbread before we popped them into the oven... I was unfortunately included.